As sisters of Nu Sigma Pi, we pride ourselves on having one of the lowest dues on campus thanks to the various fundraising events we hold throughout the year. We're known to host our country pub night twice a year as well as events like Popcorn Sale, Polaroids with Santa and Pie a Nu Sig. Our sisters are thankful for the campus community, and all the sororities and fraternities for their constant support! 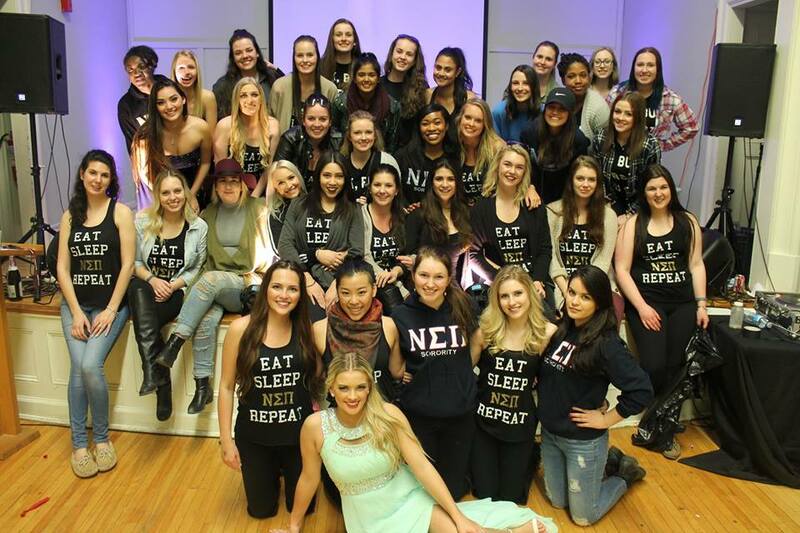 Each winter semester, Nu Sig organizes our famous Greek Pageant where all of the Greek organizations compete against one another in different categories such as ABC costume, talent and a question-and-answer round. It's a huge success every year with prizes for the top 3 fraternities and sororities contestants! Part of the proceeds go to the charity of our choosing, and the other part acts as a fundraiser for our sorority. Last year, we gave all proceeds to Battered Women's Support Service, a charity dear to our beloved sister Stephanie Lys.